People Created By AI « Adafruit Industries – Makers, hackers, artists, designers and engineers! Computers are getting better at generating fake images and video of people saying or doing things they never did in real life. 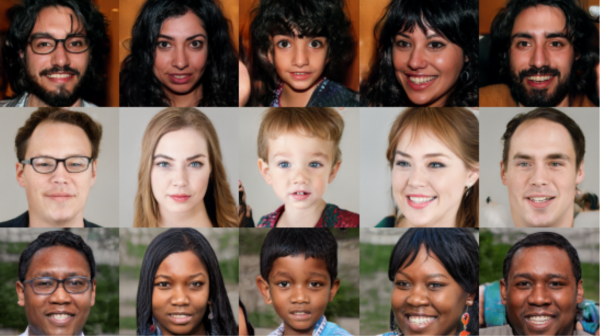 The latest work from chip maker Nvidia takes this a step further by generating convincing-looking images of people who never existed in the first place—they’re AI creations, but they look incredibly real.